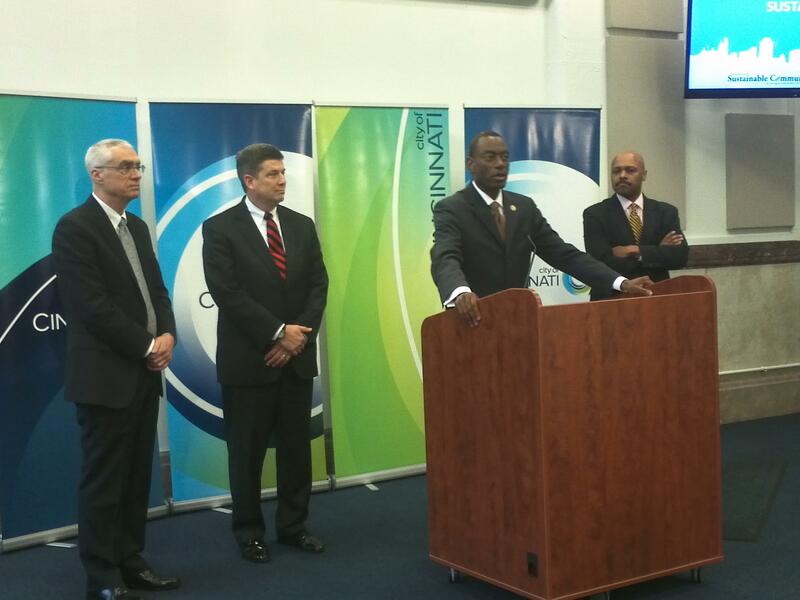 From L to R: EPA Deputy Administrator Bob Perciasepe, Department of Transportation Deputy Secretary John Porcari, Cincinnati Mayor Mark Mallory, and Housing and Urban Development Deputy Secretary Maurice Jones. EPA Deputy Administrator Bob Perciasepe says, "It was gratifying for me to be able to see on the ground the work that is going on at Lick Run and the Mill Creek. I think that's going to pay equal generational dividends as we do that project and we learn how to do a more cost effective approach to improving water quality." The officials are touring projects completed with federal assistance from the Partnership for Sustainable Communities. The grants are used to redevelop and spur growth in low-income communities.